by Ronald Grisanti D.C., D.A.B.C.O., D.A.C.B.N., M.S. A growing body of medical literature has discovered the damaging effects of mercury on endothelial (the inner lining of blood vessels) function and vascular smooth muscle function. Mercury induces mitochondrial dysfunction with reduction in adenosine triphosphate (ATP), depletion of glutathione, and increased lipid peroxidation. Increased oxidative stress and reduced oxidative defense are common. The overall vascular effects of mercury include increased oxidative stress and inflammation, reduced oxidative defense, thrombosis, dyslipidemia, and immune and mitochondrial dysfunction. The clinical consequences of mercury toxicity include hypertension, coronary heart disease, myocardial infarction, cardiac arrhythmias, reduced heart rate variability, increased carotid intima-media thickness and carotid artery obstruction, cerebrovascular accident, generalized atherosclerosis, and renal dysfunction. Mercury inactivates catecholaminei-0-methyl transferase (COMT). COMT is an enzyme principally involved in catabolism (the breaking down) of catecholamines at the sympathetic nerve endings. Catecholamines are hormones made by the adrenal glands. These glands are on top of the kidneys. Catecholamines are released into the blood when a person is under physical or emotional stress. The main catecholamines are dopamine, norepinephrine, and epinephrine (which used to be called adrenalin). The consequence of mercury on COMT is the fact that serum and urinary epinephrine, norepinephrine, and dopamine will increase. This effect will increase blood pressure and may be a clinical clue to mercury-induced heavy metal toxicity. It is important to note that mercury diminishes the protective effect of fish and omega-3 fatty acids which has been found to have value in the management of reducing high blood pressure. Mercury toxicity should be evaluated in any patient with hypertension, coronary heart disease, cerebral vascular disease, cerebrovascular accident, or other vascular disease. If you are suffering with hypertension it is of vital importance to have your doctor order the following labs: Erythrocyte and whole blood toxic element levels and/or a 24 hour toxic metal urine tests using a challenging chelating agent like DMSA. 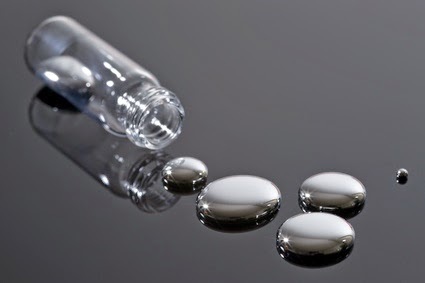 If your test reveals high levels of mercury it is important to find a doctor trained in functional medicine and is able to prescribe an effective protocol to chelate the toxic metal and decrease the load on your body. This in fact may be the missing piece of the puzzle in reducing high blood pressure. I would also like to add that you can view under your tongue for signs of mercury or other heavy metal toxicity. If the veins under your tongue are bold and darker blue or purplish or if there is quite a bit of branching, this could be a sign of heavy metal toxicity. Here at Depke Wellness we would use urine porphyrin testing to assess comprehensively. The acronym SIBO has been thrown around quite a bit lately and many are unaware of what this even stands for, let alone what it's all about. SIBO stands for small intestinal bacterial overgrowth at a level of more than 10 to the 5th power of bacterial organisms per milliliter of fluid present in the small intestine. The normal level is 10 to the 3rd power for the small intestines and 10 to the 8th power for the colon or large intestine. Understanding SIBO is a significant key to irritable bowel syndrome(IBS). One of the clues for SIBO would be distention or bloating after meals that contain starch or fiber. When you consume sugars, galactans, fructans or starch that is then fermented by an abundant overgrowth of intestinal bacterial this will lead to gas formation. This can then lead to the production of methane or hydrogen which can then lead to either constipation or diarrhea. SIBO can arise from the failure of the gastric acid barrier, failure of small intestinal motility, anatomic alterations or impairment of systemic and local immunity. 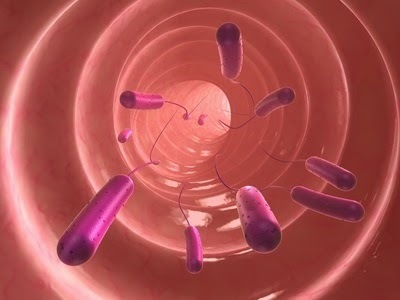 This then leads to a disrupted homeostatic mechanism that controls the enteric bacterial population, thus leading to a bacterial translocation from the large intestine or colon into the small intestine. This leads to the bacterial over colonization of the small intestine leading to the utilization of sugars and starches for fermentation. The end result is gas formation and distention or bloating. If you feel abdominal discomfort after consuming different carbohydrate containing foods as listed, SIBO should be considered. The severity of SIBO can vary from mild to no symptoms, to bloating after meals, to bloating with malnutrition and constipation to bloating with nutritional deficiencies, to bloating with anemia, low albumin and low cholesterol and severe bloating with weight loss, chronic diarrhea and malabsorption. SIBO is actually one of the most common causes of malabsorption in older adults and for those with IBS should be evaluated for SIBO. This can easily be detected with hydrogen and methane breath testing with chronic bloating as a solid predictor. There is also a significant higher prevalence of SIBO in children with chronic abdominal pain and may be more common in children with gastrointestinal symptoms and apparent carbohydrate malabsorption than previously thought. There are two types of testing for SIBO. One is direct testing that requires a gastroenterologist that is expensive, invasive and many species of bacteria do not grow in your culture. The culture may also underestimate the bactria population and aspiration of sufficient samples is difficult and must be handled promptly for accurate results. The indirect testing is the breath testing for hydrogen and methane. Here the substances my not be useful in determining all species of bacteria, optimum protocol for timing is unpredictable, recent antibiotic use may lead to inaccurate results and increased transit time can cause false positive results. Hypothyroid and SIBO is another area to review. When a person is hypothyroid the thyroid hormone activation of the enteric motor complex and vagal motor complex can lead to poor ileocecal valve control of trafficking bacteria from the large intestine to the small intestine, cause poor gut motility leading to poor small intestine bacteria overgrowth and/or low vagal activation of hydrochloric acid release leading to inability to suppress bacterial growth. Any or all of these can lead to SIBO creating bacterial disruption in the small intestines, interference with thyroid medication absoption and low thyroid response to receptors, this completing the cycle to worsening the hypothyroid condition. Since many with hypothyroid conditions may be due to autoimmunity and elevated cytokines from autoimmunity, this can disrupt thyroid receptor expression and the management of autoimmunity may be crucual for hypothyroid induced SIBO. So what are the main risk factors for SIBO? So what to you do if SIBO is a problem for you? One trigger that is often overlooked is the neurological trigger. This is such a key because of the gut/brain connection but most do not think of brain function when the thought of SIBO come up. Many are living with undiagnosed brain imbalances or degeneration. To assess your likelihood of neurological imbalance, you can use our complimentary brain/neurotransmitter assessment. Go to www.depkewellness.com and click on the online forms at the top of the page. Here you will find the free neurotransmitter form. You may find some brain or neurotransmitter imbalances that need to be addressed to assist you in overcoming SIBO. Of course it would also be essential to eliminate the sugars, starches and fibrous foods that tend to ferment in the small intestines due to the overgrowth of bacteria. Eliminating these foods, while addressing your triggers with proper nutritional supplemental support is the key for eliminating SIBO. If you have any comments or questions, feel free to post these below. A week ago Monday, tragedy had shown its face to my family as my brother Mark passed at the age of 59. Mark was diagnosed with ALS about 18 or 20 months ago and it has been quite a journey with him during this time. As I know Mark, he would not want a fuss made over his passing and I am sure that he would want others to be aware of this tragic diagnosis of ALS and more importantly, some of the underlying challenges that we were able to uncover for him personally. This way, his tragedy can actually be a gift for somebody else. Mark, this article is written in your honor. I know Mark was very excited about the Ice Bucket Challenge to bring awareness to ALS in the hope of finding a cure for this tragic diagnosis. While I support bringing an awareness to this deadly and debilitating disease, I want to be very focused on the fact that I believe that this can be prevented when we look at the underlying factors. I personally wish my brother would have looked at all the underlying challenges earlier in his life because I truly believe that he would not only be alive today, but he would have never developed this disease in the first place. You may ask how I can say this with such conviction. So here's the story of my brother in the hope that this is a gift for one of the Depke Wellness followers or one of your friends or loved ones. When my brother was first diagnosed, conventional medicine was trying to understand why he was have some difficulties with his speech. He was referred to a speech therapist and was provided a pharmaceutical drug that was suppose to help with his speech. Ironically I later found that one of the symptoms of this drug was neurological dysfunction. I want to be clear that I do not feel that the drug itself was the cause of Mark's challenges but it likely did not help. Once he was officially diagnosed we made it a point to get him into our clinic ASAP to take a look at the underlying factors that he was dealing with. Understand that here at Depke Wellness, we do not look at the disease or the diagnosis as the problem, we see the underlying causes as the real issue. 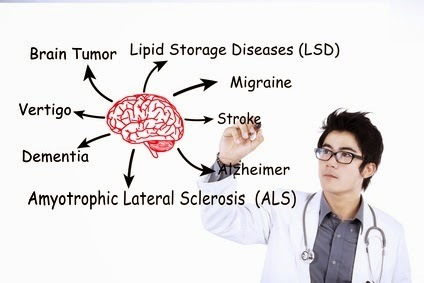 Based on conventional medicine ALS is a somewhat diverse and decidedly mystifying disease. In more than nine out of every 10 cases diagnosed, no clear identifying cause of the disease is apparent, that is, patients lack an obvious genetic history, complete with affected family members. So what would we look at then as a cause? Let's first recognize that ALS, often referred to as Lou Gehrig's Disease is a progressive neurodegenerative disease that affects nerve cells in the brain and the spinal cord. Motor neurons reach from the brain to the spinal cord and from the spinal cord to the muscles throughout the body. The key here is neurodegeneration! This is where we found many challenges for my brother and I would estimate that you would find similar challenges for others diagnosed with ALS. Let me be very clear though, you want to understand these keys before you are living with the symptoms or diagnosis of ALS. Once my brother started working with Depke Wellness, we went through a battery of test to understand his function and underlying causes. These are the tests that we ran for Mark. The results of this testing showed some conclusive evidence of why Mark was living this this neurodegenerative disease. Upon initial review of his adrenal function, this revealed stage III adrenal insufficiency which directly impacts neural connectivity, muscle integrity and immune function as well as many other functions of the body. He had shown to be sensitive to gluten, dairy and corn, all of which he ate for most of his life on a consistent basis. Understanding that these sensitivities lead to gut/brain connection disorders, chronic inflammation, immune dysregulation and neural degeneration. We also found that he was loading with mercury toxicity, which is a known neurotoxin. When we received the results of his autoimmune testing, which tested five different levels at which that immune system can be attacking the brain, Mark was dealing with autoimmunity on all five levels. Upon muscle testing, it was discovered that he was also dealing with chronic infection throughout his body and the chiropractic assessments had shown definite neurological challenges based on subluxation in his vertebrae. If it sounds as if Mark was a mess at this point, you could not be more correct and based on these findings it would be expected to also be living with some type of neurological degenerative disease state, which he was. At that time, we of course initiated our focus on Mark's care. He removed the foods from his diet that he was sensitive to, we worked on balancing his adrenal function, supported his immune system with the intention of fighting infection, used proper chiropractic intervention to assist in aligning his spine, assisted on eliminating the mercury toxicity from his body and focused on the chronic inflammation which most often leads to autoimmune conditions. Throughout this time Mark often felt as if he was improving but it was a couple steps forward and some steps backward. In the end, we caught this all too late and his body was beyond the ability to recover from the depth of this neurodegeneration. The gift of this entire situation with my brother is in knowing that this can all be understood long before you would ever have to live with the news of a diagnosis of ALS or any other neurodegenerative disease and I personally look at all these areas for myself with consistency. After all, I not only witnessed my brother progress through this but also watched my mother and grandmother both pass with severe dementia, which is another neurodegenerative disease. A certain level of peace that I have found through this entire process with my brother is that he told his conventional doctor with conviction that he was not going to progress through the typical stages of neuromuscular degeneration that is typical of ALS, and he did not. Up until just days before the very end, he was still walking and even working from home which is very unusual for those with ALS. One thing that I always loved about my brother is that he did it his way, both in life and in death. I will always love my brother and am grateful for the gift that he will provide for someone else in preventing neurodegeneration. In the end, we can use this tragedy as a gift and recognize that neurodegenerative disease can be addressed at the core, but don't wait until you have a significant diagnosis such as ALS, dementia or Alzheimer's. Catch this early and prevent! If anyone cares to donate in memory of my brother Mark, please donate to either the San Fransico SPCA or the ALS Association. When my brother lived in San Francisco he would regular donate his time and money to the SPCA due to his love for animals and cats specifically and I know that he was very supportive for ALS awareness. If you have any comments or questions, please leave these below and we will address them personally. So many of our Depke Wellness clients begin their journey living with varied levels of aches and pains. While for some, this may seem manageable, to others this is truly excruciating and life altering. Regardless of what level you may find yourself in, their is hope for escaping these aches and pains. To understand how to alleviate pain it is most important to understand its origination which is inflammation. You see, inflammation will lead to a production of a neurotransmitter called bradykinin and this neurotransmitter leads to pain hypersensitivity. So "getting" this deeply is the understanding that the inflammation is the problem and not the pain itself, right? Actually the deeper issue here is the triggers for inflammation and the feedback loops for chronic inflammatory states. We'll look at the main triggers first. Food sensitivity - Whether this is a gluten sensitivity, cross reactive sensitivity or most often both, the first response of a food sensitivity is to lead to inflammation in the gut. Over time, when we continue to consume these foods, the inflammation becomes chronic and systemic. Standard American diet (SAD) - A diet high in sugar and processed foods, which easily break down into sugar, is another major trigger for inflammation. Chronic infection - When we are living with chronic infection we are living with chronic inflammation as the bodies protective response. It is essential to recognize these infections and address accordingly. Chronic stress - This is the one area that most do not understand as an inflammatory trigger but honestly, I see this all the time with our clients. This is why it is so important to learn healthy way of perceiving and dealing with our stressors. Obesity - An increase in fat cells and eventual obesity is an inflammatory trigger. The conundrum with this is that inflammation is not only caused by obesity but also leads to obesity. Recognizing which triggers are influencing your chronic inflammation and addressing these properly is an important first step in addressing your aches and pains. I did say "important first step" but there is more. We also have to understand that one you are living with chronic inflammation, there are feedback loops the continue this inflammatory state even after you recognize and eliminate your triggers. Once you have developed chronic inflammation, the inflammation itself potentially creates four different feedback loops as described below. I know that between the triggers and feedback loops, it may seem daunting to reduce or eliminate your pain, but I see this all the time with our clients. Here are some testimonials that I can share of clients that have either worked with us in the office or have completed online anti-inflammatory programs. “Here is a list of things that have improved or disappeared while doing this program. My blood pressure is more regulated, I've only had one migraine (which I used to have almost daily), my aches and pains are much more improved, I can go to sleep at a decent hour, stay asleep throughout the night, and wake up an hour before my alarm goes off, I am no longer incontinent of urine, and my fatigue has all but vanished." Glen Depke's program has been a big turning point for me. It allowed me to finally get a sense of control over my health. In the program, I learned about the gut-brain connection, the absolute importance of having a nutritionally sound diet and what makes a diet nutritionally sound. Virtually all of my "less than healthy conditions" that I identified at the beginning of the program, simply disappeared or greatly diminished. The group dynamics really helped as well as the webinars and blog site. I've been able to carry forward most of the healthy practices since the program ended. I highly recommend this program to anyone who is interested in excellent health and living life to the fullest." "I was one of the fortunate ones that got to participate in Glen Depke's program. Glen had previously done the program and had reported amazing results! I was excited when he decided to do the program again and invite those of us who were interested. Years of self- medicating my adrenal fatigue with sugar and caffeine were going to be a challenge to break away from. At this point...I really felt my life depended on it. The diet restrictions involved in the program are do-able!! The supplements become a routine. The first few days I did experience some mild withdrawal symptoms from the caffeine. But, after that I felt great!! My favorite part of the program was the 24/7 blog we had access to. Here we could share our triumphs and mishaps. Ask any questions we may have. Share recipe ideas. I'm such a creature of habit it was nice to read about others more adventurous in trying new things. If I needed encouragement someone was always there to offer a word of advice. If someone else was struggling, I could provide support. We could offer motivation to those who needed it and share, together, as we all made amazing progress throughout the program. Glen was ever present with his knowledge, advice, insight, positive attitude and guidance. The weekly information webinars were educational and helped to keep us focused and motivated throughout the program. By the end of the 6 weeks I couldn't believe the changes that I had experienced! I lost 12 lbs! My acid reflux was gone! I was able to wean off all hormone supplements and sleep aides! With the improvement of my sleep...my energy level increased. And most important to me, the joint and back pain I had been experiencing was gone!! I can even share my personal experience. When I was 17 years old I hurt my knee playing football. Over the next 30 years, I had developed severe degeneration in my medial knee joint and moderate degeneration in the rest of my knee. With this degeneration and accompanying inflammation, I would feel chronic pain and discomfort with even the smallest use of my right knee. I was seriously resigned to the "fact" that I would have to live with this knee pain for the rest of my life. 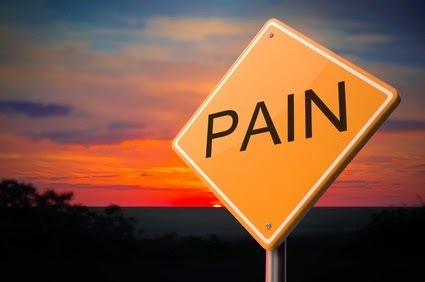 Shockingly though, when I focused on my own chronic inflammation, triggers and feedback loops, my knee pain was all but eliminated. Understand that nothing changed in my knee functionally except for the reduction in inflammation. So in the end recognize that if you live with daily aches and pains, there is hope for you. 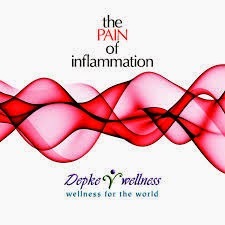 If you would like to learn more about "The PAIN of Inflammation" program, visit this link. If you have any comments or questions, feel free to post these below and we will address these personally for you. So many clients enter into Depke Wellness with poor sleep habits to to point that I would share that these numbers are staggering. Proper sleep is one of your fundamentals of health that is essential, unfortunately our culture often views sleep as a luxury and not an essential component to health and happiness. I cannot say it enough, proper sleep is essential and insomnia is actually more of a norm! Let's first define proper sleep. Many feel that proper sleep is simply getting approximately 7 to 8 hours of sleep nightly, but not so fast. Proper sleep would include approximately 8 hours of sleep but it is also important to sleep at the proper times of the day to honor assist in balancing our Circadian rhythms. A good general rule is to be in bed from 10:00PM thru 6:00AM but this does shift seasonally. We typically need much more sleep in the winter months than we do in the summer months. During summer months we may be fine going to bed at 10:30PM and waking at 6:00AM but during the winter months the best times to head off to bed may be closer to 9:30PM and waking at 6:30AM. An important focus to assist in getting to bed at a proper time is to prioritize a shutting down period. This means no cell phone, television or computer. This is time to unwind from the day, read a book, journal, take a bath, converse with your spouse or roommate, or play a relaxing game. We also want to recognize our sleep patterns. While it is not unusual to wake during the night to urinate, if this occurs we should be able to "take care of business" and easily fall back into a deep sleep. Please be sure to not turn on bright lights at this time because this will likely hinder your ability to fall back into a deep sleep quickly. I recommend having a night light with a dim red bulb that will not lower melatonin when lit. The other factor is how you wake up. When you wake you should be ready to "rock and roll" and if you find this to not be the case and your snooze alarm is your best friend, we can recognize that you are not getting proper sleep. Basically wake as close to sunrise as possible. I would recommend setting a timer for a low wattage lamp in your bedroom to turn on about 10 minutes prior to your alarm. This is a good idea since an alarm is often stimulating to the adrenals and nervous system. Per the definition above, if you are not getting proper sleep we'll review the most common challenges leading to this. If you are simply choosing to go to bed later than is healthy, only you can change this. It is better to go to bed earlier and get up earlier than it is to go to bed late and get up late. When adrenal function is off, this can have an effect on melatonin utilization in your body among other factors with sleep disorders. When digestion is challenged, we often find ourselves looking at nutritional deficiencies that lead to sleep issues. This most common factors behind this is food sensitivity and/or gut pathogens. Neurotransmitters play a role in sleep/wake patterns. These would definitely include the four primary neurotransmitters, which I consider to be serotonin, dopamine, GABA and acetyl-choline. While most would first look at GABA, I have to share that the bigger deficiency we see in our clinic is serotonin. Due to the significant serotonin deficiencies that we recognize, let's focus on serotonin for the remainder of this article today. First off, how can you easily recognize if you have a serotonin deficiency? Here are some common symptoms if you serotonin is compromised. If half or more of these are challenges for you, low serotonin would be likely. Serotonin is involved in several important body functions such as memory, emotions, moods, appetite and thermoregulation, so it comes as no surprise that this neurotransmitter is important in regulating sleep-waking also. Serotonin deficiencies have been linked to depression, anger, OCD, sleep disturbances, irritable bowel syndrome and many other emotional and physical disturbances, while proper levels also help people feel contented and safe. Does serotonin make one more sleepy or more awake? Seemingly both. But given we need to sleep sometimes and to be awake at times, serotonin is generally a good thing. Scientists have found that serotonin directly promotes wakefulness and also promotes the formation of sleep-promoting brain factors, perhaps as part of an evolutionary negative feedback look. Orexinergic wake-promoting neurons also stimulate serotoningic neurons. So why is your serotonin low? Estrogen play a direct role in serotonin receptor sites. With this said, if estrogen is high that can lead to symptoms of serotonin excess and if estrogen is low this can cause symptoms of low serotonin activity. Because of the estrogen/serotonin connection, taking supplements to support serotonin may not have a significant impact if you are estrogen deficient. This is one reason to consider a comprehensive adrenal panel that also reviews estrogen hormones. Thankfully, this is what we regularly utilize at Depke Wellness. Both 5-HTP and tryptophan have been shown to assist in increasing serotonin and can be helpful in addressing the symptoms caused by low serotonin. Both of these substances are precursors to serotonin production and often I will suggest the use of both to assist in increasing serotonin production. The production of serotonin depends on adequate levels of iron so iron deficiency has to be a factor to consider when considering low serotonin. This is common for those that follow a vegan or vegetarian diet or for those with low stomach acid production. One of the most common challenges that leads to low stomach acid production is a H-pylori infection. There are many nutrients that are essential to synthesize serotonin in your body. Adding to the list that we mentioned above you could add vitamin B6, niacin, vitamin B12, folate and magnesium. When addressing serotonin deficiencies you have to consider some of the typical "deal breakers" that will hinder your success. This would include general brain health, chronic stress, blood sugar imbalances. Also understand that chronic alcohol use can also hinder the serotonin pathways. When addressing serotonin deficiencies with our clients it is important to understand all of the potential challenges listed above. We also want to provide you an opportunity to understand your current serotonin levels. If you have not assessed this recently, feel free to fill out our complimentary neurotransmitter assessment from Depke Wellness. Once you fill this out, please save this on your computer and email to the Depke Wellness team at support@depkewellness.com. We would be happy to review this for you! I am sure that you've heard of neurotransmitters but this is a likelihood that this are some missing pieces to understanding these in a simple yet productive manner. So in essence every neuron is a one way street with information entering in through the dendrites and exiting through the axons. When you have healthy and active neurons these electrical charges are occurring on a regular basis throughout your life. Your neurons communicate by discharging a small messenger called a neurotransmitter which in turn is received by another target neuron. A neurotransmitter is a chemical messenger that carries, boosts and modulates signals between neurons and other cells in the body. In most cases, a neurotransmitter is released from the axon terminal after an action potential has reached the synapse. The neurotransmitter then crosses the synaptic gap to reach the receptor site of the other cell or neuron. Then, in a process known as reuptake, the neurotransmitter attaches to the receptor site and is reabsorbed by the neuron. Neurotransmitters play a major role in everyday life and functioning. Scientists do not yet know exactly how many neurotransmitters exist, but more than 100 chemical messengers have been identified. While there are so many neurotransmitters to concern, here at Depke Wellness be are mainly looking at four neurotransmitters and for a very important reason. These four neurotransmitters are serotonin, dopamine, acetylcholine and GABA. The reason we focus on these particular neurotransmitters is due to the fact that when these are balanced it is typically recognized that the other neurotransmitters will balance also. Even a step further, one of my mentors for years, Dr Danial Kalish, shared that if you can balance serotonin and dopamine the rest will fall into line. Dr Kalish is a wealth of knowledge in the area of neurotransmitters and more with his book "The Kalish Method: Healing the Body, Mapping the Mind." Another significant mentor of mine in functional health and specifically brain health is Dr Datis Kharrazian and I will share that his book, "Why Isn't my Brain Working" is my personal encyclopedia for brain health. For anyone that is interested in understanding this area with a very deep level of comprehension, these books will definitely provide this for you. In studying Dr Kharrazian's work, I recognized the need to look at the four neurotransmitters listed in the paragraph above. Taking this a bit further, let's place these neurotransmitters into some necessary categories as either excitatory or inhibitory type neurotransmitters. Of the four mentioned already dopamine, serotinin and acetylcholine are excitatory and GABA is inhibitory. Let's look at them individually. Serotonin is your happy neurotransmitter that is commonly associated with feeling calm or relaxed even though it is an excitatory neurotransmitter. Dopamine is the pleasure and reward neurotransmitter which is produced on large amounts when you fall in love or first engage in some type of addictive behavior such as smoking, amphetamine use or gambling. This is also an excitatory neurotransmitter. Another excitatory neurotransmitter is acetylcholine, which is your learning and memory neurotransmitter. The inhibibtory neurotransmitter is GABA or gamma-amminobutyric acid, which is known as the anti-anxiety neurotransmitter. There is also a key note to make and that is that even though an excitatory neurotransmitter such as dopamine is always excitatory and GABA is always inhibitory, they can still have an opposite effect depending on the neuron pathways of which they synapse. In a very basic definition, the synapse is the complete process of communication between neurons. Let's also look into the comment above a bit deeper. So an excitatory neurotransmitter does not always excite and an inhibitory neurotransmitter does not always does not always inhibit or relax? I know it sounds confusing but this is why neurology and neurotransmitters are not as easy as many would have you believe. Another key factor in neurotransmitters is tied into what is referred to as the neurons resting potential. When a neuron is at rest, which is not often, it has a resting potential that will basically tell you how much stimulation is needed to make that neuron fire. If a neuron's resting potential is close, very little input is needed to fire but if the potential is far, then a higher input is needed to fire. And in the neuron world, it is all or nothing. If a neuron if far from its threshold it may never get enough stimulation to fire or if your potential is close the neurons fire to easily and are touchy. An example of a far potential is someone that has to turn up the volume on their TV because the neurons responsible for sound are far from the threshold, thus lessening the ability to hear properly . An example of a close potential is tinnitus, you know, that annoying ringing in your ears for many. This is due to a potential that is too close and easily overstimulated. Another example of could be someone that overreacts to certain aromas such as perfume, paint, new carpet, ect.. This close potential can lead to migraines, fatigue and many other symptoms in the body. The main point to make her is that both the close and far potentials are challenges because they are both symptoms of a degenerating brain. Taking care of these areas first is always a key when addressing neurotransmitter imbalances. For those that have followed Depke Wellness for some time, you will recognize that these are all consistent focuses of ours on a regular basis. I have a special gift for you today also. Below I have a link for the new client forms for the Depke Wellness new clients and one of these forms is a complimentary neurotransmitter assessment. Click on this assessment and complete at your convenience. Pay special attention to sections where you have more than half of your responses as 2's or 3's. If you want our opinion on these assessments feel free to email them to support@depkewellness.com and we will provide our input for you. This is our gift to you! Hopefully today you have learned a bit about neurotransmitters, neurons and resting potential. Remember to email your neurotransmitter assessment to the Depke Wellness team if you have any questions. I have also attached an invite below to a complimentary workshop for the Orange County Alzheimer's Association. If you are in the SoCal area and are looking for information on Alzheimer's, dementia or brain disorders, this is a must attend event. If you have any comments or questions, feel free to leave these below and we will respond personally. Thank you! You’ve heard about them in the news or in social media. The whole world is talking and worried about the spread of Ebola. In the United States, the outbreak of enterovirus D68 (EV-D68) is becoming a concern, with several cases confirmed in 46 states. To add to that, the flu season is also looming, with activity expected to start later this month. The question is, how do we protect ourselves from these viral infections? Besides minimizing contact with someone you may think has a viral infection or washing hands after being out in the public, taking Bamboo Extract can help. My wife and I are currently traveling with multiple airplane trips and we took a dose of Bamboo Extract both pre and post flight. This is not only a precaution for a possible Ebola contamination but any potentially airborne type of pathogen. For any type of upper respiratory infections, Bamboo Extract is an excellent supplement. It works quickly for chronic and acute respiratory infections, especially in children, young adults and the elderly. Whether you have the flu, a cold or cough, take Bamboo Extract immediately at the first sign or symptom to quickly assist your body in fighting infection. 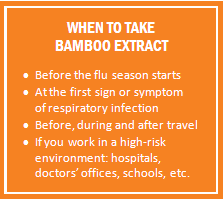 Or better yet, take Bamboo Extract before the flu season starts or if you work in high-risk environments, such as hospitals, doctors’ offices, schools, etc. Bamboo Extract has inhibitory effect against viruses and bacteria such as Streptococcus pneumoniae, Staphylococcus aureus and more. One of its active components is guaiacul, an important ingredient also found in Tamiflu, a conventional flu medicine. Bamboo Extract is also a rich source of nutrients, including over ten amino acids, such as glucose, fructose, sucrose, guaiacol, cresol, phenol, formic acid, acetic acid, benzoic acid and salicylic acid. In the current EV-D68 outbreak across the nation, mostly children are affected, especially children with existing respiratory conditions. Studies show that Bamboo Extract is an excellent supplement for respiratory conditions in children. One such study evaluated the effect of Bamboo, either in granule or liquid form, on several respiratory conditions in children. A total of 148 children with various infections (colds, tonsil pharyngitis, laryngitis, and herpangina) were enrolled in the study. Bamboo granules were given to 76 children while Bamboo juice was given to 72 children for 7 days. Effectiveness of Bamboo was evaluated according to the elimination of symptoms and infections by 60% to 90%. 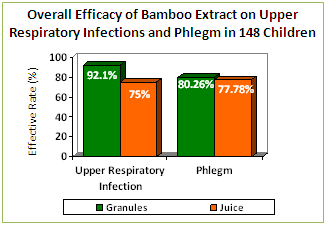 Expectoration is vital to improving infection of the upper respiratory tract; therefore, the expectorant action of Bamboo was also evaluated. Results show that Bamboo Extract in either form is effective in eliminating phlegm and improving respiratory infection within 7 days. The following cases illustrate how quickly and effectively Bamboo Extract works. Bamboo Extract is not only effective for children but for adults as well. The many constituents in bamboo extract are considered to be the main reason for its respiratory benefits. It contains over 10 amino acids, which help break the disulfide bonds in sticky components of bronchial secretion. This reduces the density of phlegm, diluting it in the airway and making it easier to cough out the phlegm. Its anti-inflammatory action also contributes to the relief of respiratory symptoms. Furthermore, one of Bamboo Extract’s chemical constituents which is similar to guaiacul, the main ingredient of Tamiflu, also contributes to its effectiveness. In fact, during the H1N1 flu outbreak in Asia years ago, Bamboo Extract became a very popular supplement to help combat the symptoms. An in vitro test has demonstrated Bamboo Extract’s potent antibacterial effect, inhibiting 8 different kinds of bacteria, including ones that are associated with respiratory diseases such as pneumonia (Klebsiella pneumoniae, Streptococcus, and Pseudomonas aeruginosa) and the flu (Bacillus influenza). So now with the enterovirus-D68 going around, with the fear of an Ebola outbreak here in the United States and the upcoming flu season, there is no better time to start taking Bamboo Extract. For even better results, it can be taken with OxyPower, Reishi Spore Extract and Asparagus Extract. This combination is also excellent to take for Epstein-Barr virus. When travelling by plane, take Bamboo Extract and OxyPower. To order any of these Chi Enterprise products, visit this link. ...or try Bamboo Extract now!